Santa Irini wedding Venue: The chapel of St. Irini, has magnificent view of the Santorini Caldera and the volcano, fantastic sunsets. A perfect wedding venue with very low cost. 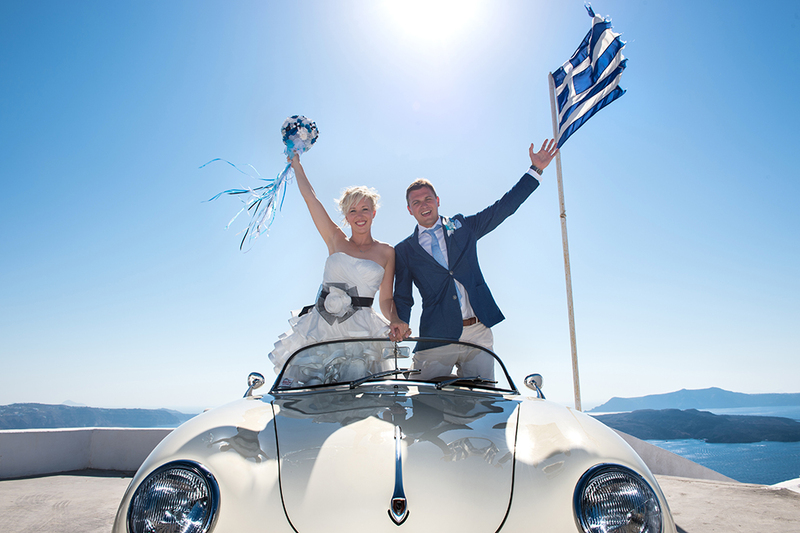 Santa Irini Chapel is a traditional whitewashed chapel over looking the Santorini volcano, the ocean of the caldera side of Santorini and the fantastic every day sunsets which is perfect for your romantic wedding ceremony in Santorini. 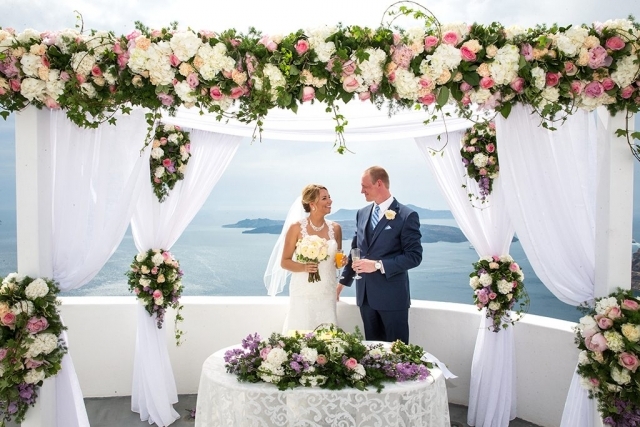 Exchange wedding vows with the backdrop of the Caldera & Aegean Sea. The ceremony can take place at sunset, the most magical time of the day or during the day time which is also perfect for pictures. Santa Irini Chapel is one of the most spectacular locations to have your wedding in Santorini and probably the Greek islands. 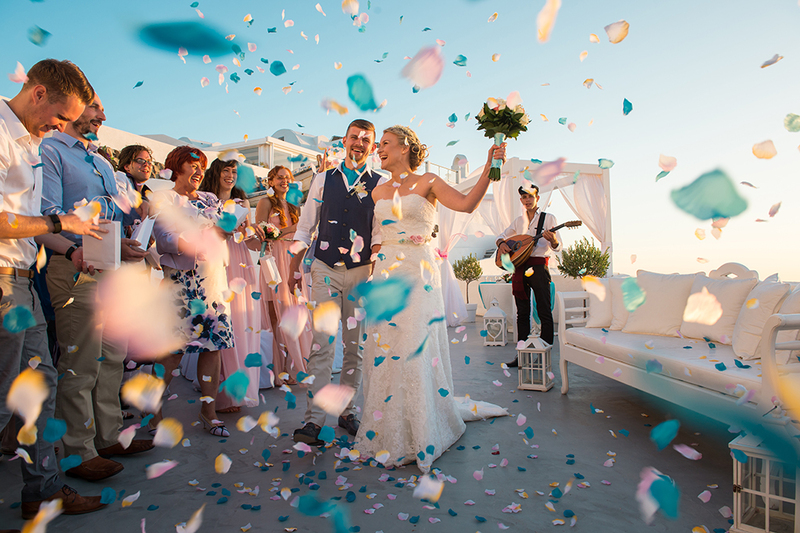 The wedding ceremony takes place on the terrace high above the Caldera cliffs of Santorini, overlooking the volcano and the deep blue Aegean Sea.